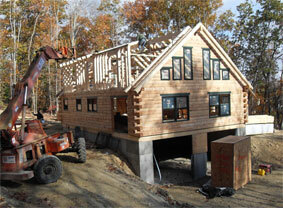 When you build a log home with C. M. Allaire & Sons, you get a lot more than just logs. You get experienced service and a commitment to helping you make your log home building experience one that is both pleasurable and memorable. The process of selecting and designing a home is different for everyone. 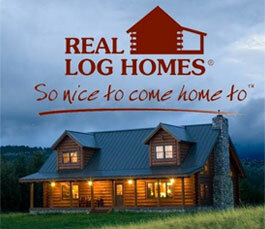 You might find the perfect plan among the unique designs in the Real Log Homes Planbook. Or, if you describe to us your ideal home, we will present you with choices from our hundreds of custom plans on file. You might also bring us your own, completely custom plan! Whatever the case, it is our job to turn your ideas into a pre-cut, engineered Real Log Home that is perfect for you. C. M. Allaire specializes in log home sales and construction using high quality, pre-cut kits manufactured by Real Log Homes. Our clients love the variety of floor plans, which come in all shapes and sizes. While helping you through the log home design phase, we will be presenting cost estimates for the constructed shell with labor provided by our own building crew. As changes are made, we will show you how your changes affect the cost of the home. 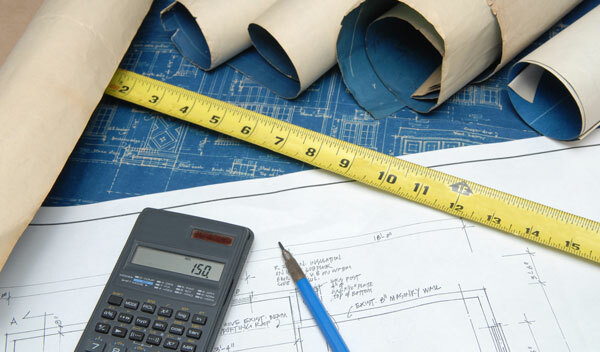 We can very accurately estimate the cost to build a "weather-tight" shell on your foundation, anywhere in New England. Costs to prepare the site, pour the foundation and finish the inside are determined using local subcontractors. With log home popularity at an all time high, obtaining financing for your log home construction is now easier than ever. 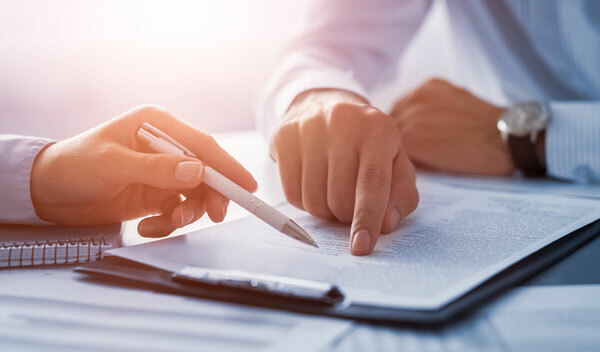 Over the years we have connected with finance companies offering loan programs tailored to log home building. We will gladly share this information and direct you to the lender with the best program for you. Building a log home is not the same as building a typical home. 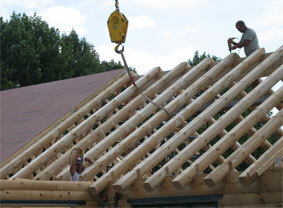 For this reason, our crews are specially trained in the intricacies of working with logs and log home building. 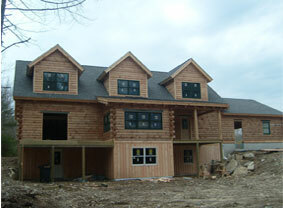 Log home building is our livelihood and we take great pride in the quality of our work. In fact, we've built in all six New England states as well as New York and Pennsylvania. Our foreman has over thirty years of log home framing experience and is an expert log home craftsman, particularly skilled with log stairs and custom timber framing. Our family has a long history of building log homes across New England. The company was originally started in 1971. If you build a log home with us you will get a construction team which provides a level of workmanship that is second to none.